There are many things we face on a regular basis where we have the decision in the situation if we will laugh or cry. Sometimes I (DeAnna) need the release of crying, but 99% of the time I choose to laugh. Sometimes it’s small things and sometimes it’s bigger things. I wanted to give someone here a gift of a digital photo book. I spent the internet airtime (we pay for every kb via scratch cards to refill our internet), spent the time searching for just the right photos, wrote poems to insert and found someone willing to have me send it to their address in the USA and bring in their luggage the book to Cameroon. I was excited about being able to give this gift. It arrived here and was placed in my hands about a month after I ordered it (that’s lightning fast for us). I was so excited that I decided to flip through it to see the end result before giving it as a gift. It started off nice, great memories, fun photos, funny poems all is good until I flipped the page and was now in the middle of the book. All the sudden there was a photo of a couple getting married told from the perspective of their baby. 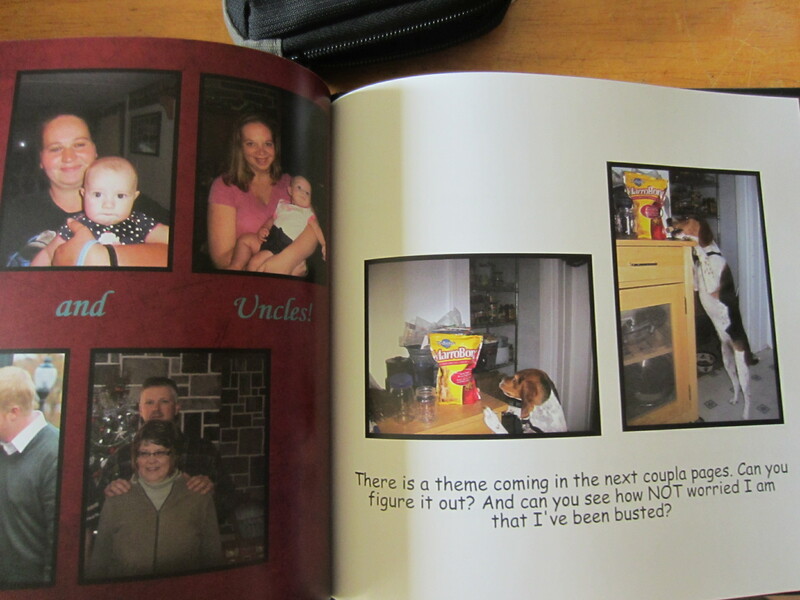 The next page was of the delivery, complete with some pictures that showed more of the mommy than I would ever want to see. Once the baby story was over, it switched to pages of a blood hound dog and his daily adventures. Towards the end it was back to the pages I made. So it was really three books in one. I can see the humor in it, however, at the moment I wanted to cry. 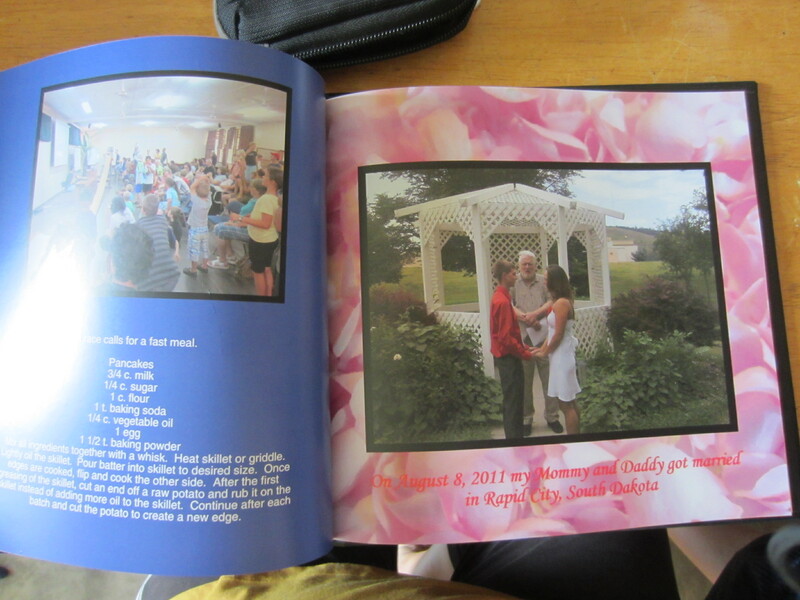 I didn’t cry, but was sorely disappointed with the added pages of stranger’s photos and words. This entry was posted in Cameroon, home and tagged Cameroon, emotional. Bookmark the permalink. It’s disappointing for you, but maybe your friend will cherish the three stories in one book because of the time, effort, thoughtfulness and energy you put into trying to compose it with your friend in mind. It might be a great coffee table conversation-starter book, of course a blackout permanent marker will need to be used on the baby delivery pages for sure. Laughter is good medicine for the soul. And tears are cleansing – so you are good either way. And having seen those books you do, I can imagine your disappointment, but can also see how you would laugh about it as well. Your efforts are always appreciated.
. While those errors will always be worth a chuckle, I sincerely hope the photo book company will send you the right one. I don’t think the new one is going to make it to Cameroon.